I think it is obvious we have tremendous respect for the hot rod spirit. There is a simple reason for that: We are living in Germany. Well, on the one hand Deutschland has all its fingers in every pie regarding all worldwide highest desirable automotive brands – Audi, BMW (MINI, Rolls Royce), Mercedes-Benz, Porsche, Volkswagen (Bugatti, Bentley, Lamborghini) –, but if you think about a unique culture which is driven by passion and individuals … there is none. 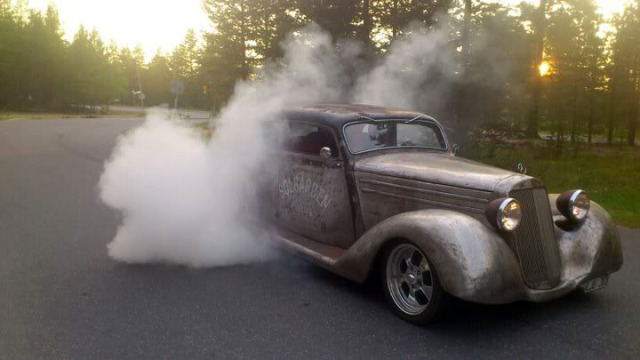 At least not if you compare it to the American hot rod culture, which started in the late 1930s. Maybe we Germans are overall too square to respect people who modify their vehicles by themselves, maybe the creativity which is needed to build a car to one's wishes is not valuated that high. Not to mention the fact that the whole trailer-queen adoring and producing tuner society in Germany gets seriously derided for their work. For a good reason, btw, if you ask me – they should rather prove their competence by building street legal race cars instead of distorted plastic funfair sculptures. Ok. I run off the track. 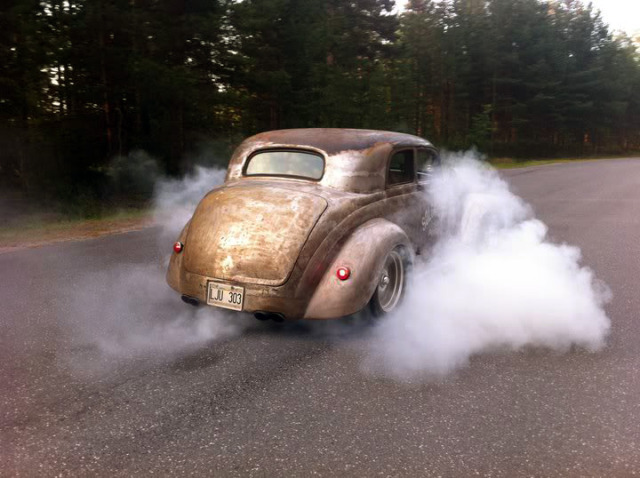 In the early days of Chromjuwelen.com we featured a 1952 Mercedes-Benz W 191 170 Sb, which got rodded by Heiko Sude. 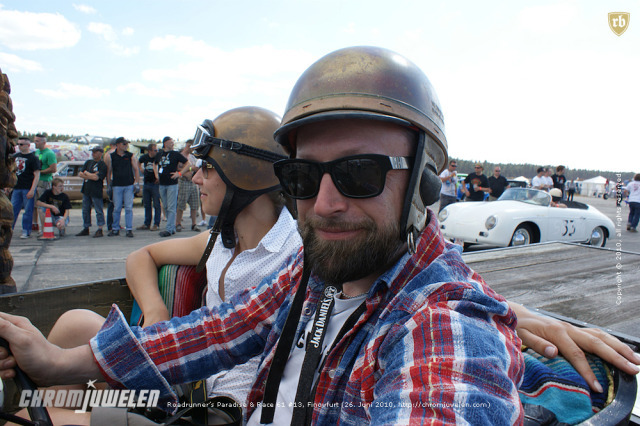 At the Race 61 in Finowfurt we ran into Niko Kahn's chopped and channeled Mercedes-Benz W 189 300 d "Adenauer". 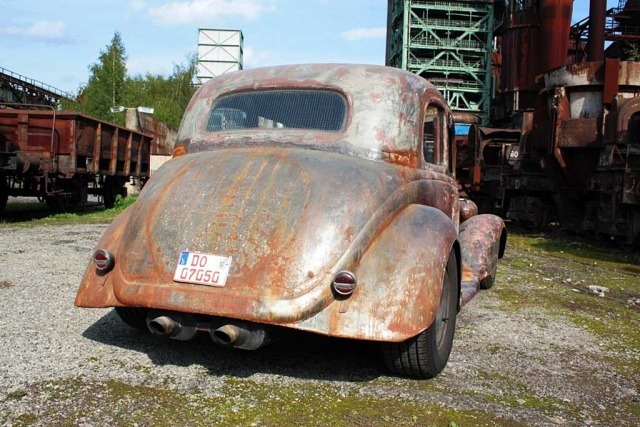 In the meantime Ingo Recktenwald debuted with his 1939 Mercedes-Benz W 136 170 V. And a few days ago our friends form the excellent Stipistop presented us another Mercedes-Benz 170 S hot rod. Enough already. I am hooked. I want a Mercedes-Benz hot rod. With a supercharged AMG M113 5.4 L "Hammer" V8. Or – even better – with a 7.3 L V12 SL 73 AMG V12. You think this would is blasphemy? No. It would not. 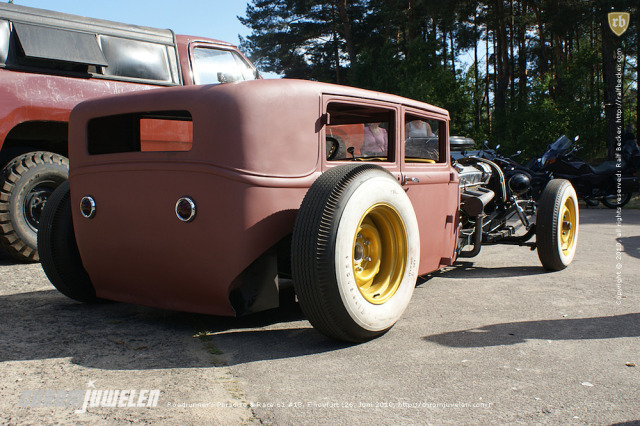 This would be the perfect German Engineered hot rod. 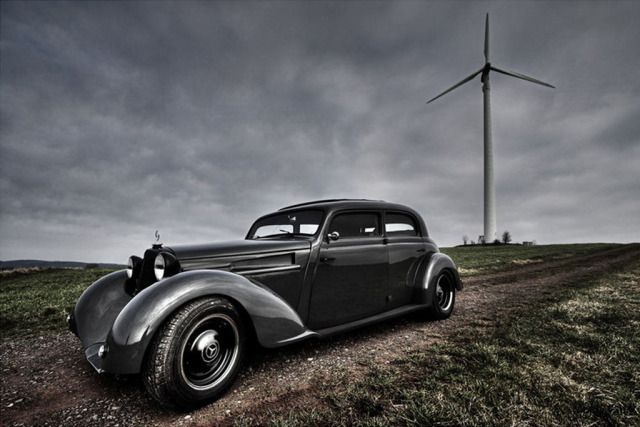 Do I really need to say I want that Mercedes Benz Adenauer 300 Hot Rod? What a bad*ss built — it'll be gorgeous once it's finished! Just click on one of the images above to start a Flickr slideshow. A full "Roadrunner's Paradise & Race 61" article will follow asap.